Career Highlights: Finished her career fourth on the school’s all-time list with 187 goals and sixth with 208 points … Scored 13 goals in four NCAA games in 2007, tying her for second on the all-time list with 37 career goals in NCAA Championship play … A two-time all-conference selection and 2006 Third-Team All-American … Helped the Wildcats to three-straight NCAA titles, a remarkable 77-5 record during her four years (13-1 in NCAA Championship play) and a 62-2 mark over the last three. 2007: Started all 22 games, helping the Wildcats set NCAA single-season records with 361 goals, 168 assists, 529 points and a 16.4 goals per game average … Second-team All-ALC selection … Finished fourth overall on the team with 52 goals — one of five players with 50 or more goals … Totaled 22 ground balls, 18 draw controls and 11 caused turnovers … Scored at least one goal in all but one game and had 15 multiple-goal games … After a slow start to the season, she busted out with four goals in the win over No. 15 Penn (3/9) … Came up big later in the season, scoring a season-high six goals in the national showdown with No. 4 Duke … Scored five goals in the NCAA semifinal win over Penn (5/25) … Also had four-goal games against California (4/9) and Ohio State (4/27) … Finished the year strong, scoring 13 goals in four NCAA Championship games, three against Holy Cross (5/13) and Syracuse (5/19) and five and two against Penn and Virginia, respectively, in the finals … Named to the NCAA All-Tournament team for the second-straight year … Led the team with 133 shots … Scooped up three ground balls in back-to-back games against Johns Hopkins (4/20) and Rutgers (4/23) … Academic All-Big Ten … IWLCA Academic Honor Roll. 2006: Played in all 21 games with 20 starts … Second on the team with 55 goals, good for seventh on Northwestern’s all-time single-season list … The only Wildcat to score at least one goal in all 21 games … Recorded 19 multiple-goal games, best on the team … One of only three Wildcats to score at least one point in every game … Also had eight assists for 63 points, third best on the team … Took 107 shots, second on the team … Fourth on the team with 43 ground balls … Finished 42nd nationally with 2.62 goals per game … IWLCA and Insidelacrosse.com Third Team All-America selection … IWLCA First Team Midwest/West All-Region choice … ALC Second Team selection … Helped the NU offense lead the nation in scoring with 15.8 goals per game … Named the NCAA Championship Game MVP after scoring four of NU’s seven goals in the win … NCAA Championship All-Tournament Team selection after scoring a total of six goals in the two wins over top-seeded Duke and Dartmouth … Scored a total of 12 goals in the four NCAA Tournament games … ALC Player of the Week and womenslacrosse.com Honor Roll selection after scoring a season-high six goals in the win over No. 14 Notre Dame (3/19) … Had four goals in the win at Hofstra (2/24) … Tallied eight points (6g, 2a) in wins at Syracuse (3/31) and UConn (4/2) … Came up big in two wins over No. 5 UNC (4/21) and No. 8 Johns Hopkins (4/23) with six goals and one assist over the weekend … Scored three goals in the win over Denver (4/30) … Academic All-Big Ten. 2005: Played 21/started 20 … Third on team with 49 goals … 2.33 GPG average was eighth in ALC … Fifth on team with 54 points … Scored in all but three games … Had 14 multi-goal games including eight with three or more … Led team with 25 unassisted goals … Recorded two goals, two assists and two ground balls in NCAA title-game win over Virginia (5/22) … Scored seven goals in NCAA win against Mount St. Mary’s (5/12) … Five goals in regular-season win at Notre Dame (3/3) … Ended ALC season with consecutive four-goal games at Vanderbilt (5/1) and vs. Ohio State (5/5) … Also had two assists, two GB vs. Buckeyes. 2004: Played in every game, starting all but one (3/24 at Delaware) … Tied for second on the team with 31 goals … Added four assists for 35 points, good for fourth on the squad … Recorded 11 multi-goal games including six with three or more … Also had 17 ground balls … Recorded a hat trick in first collegiate appearance, at Davidson (2/20) … Had two more goals, added an assist, and scooped up two GB two days later at No. 4 Duke (2/22) … Scored three more times in 14-13 win at Rutgers (2/28) … Broke four-game scoreless drought with three points (2g, 1a) and added two GB at Connecticut (4/4) … Three goals, one assist at Cal (4/11) … Two goals apiece in consecutive ALC wins over No. 18 Penn State (4/17) and No. 9 Johns Hopkins (4/25) … Added three GB and two caused turnovers in win over Blue Jays … Season-high four goals, one assist in ALC win over Ohio (4/30) … Three goals vs. Denver (5/2) … Four goals in regular-season finale vs. No. 11 Vanderbilt (5/6) … Scored twice in NCAA Tournament win over Notre Dame (5/13). High School: Four-year letterwinner in lacrosse and soccer … Captained both squads … In lacrosse, second-team all-state in 2003 … First-team all-division … Two-time all-county … All-city … Baltimore Sun All-Star … Led team in scoring and ground balls senior year … Helped team to regional title and state semifinals as a senior … High school coach was Dee Mullineaux … Won All-Star Express varsity title with Sky Walkers … National Honor Society member … Member of school’s Dean’s List. 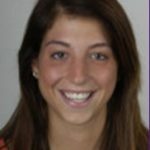 Personal: Born Alyson Hammer Josephs on 5/11/85 … Daughter of Lydia and Marty Josephs … Father ran track at the University of Maryland … Major is communication studies.